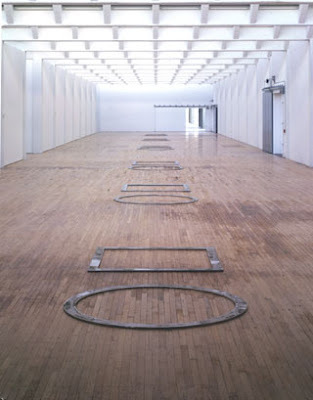 Walter De Maria - Two enormous rooms (maybe 50 x 250') each with six pairs of silver shapes (square and circle, oriented one way in room A, one in room B). I'd rather view them outside in a field or lawn. 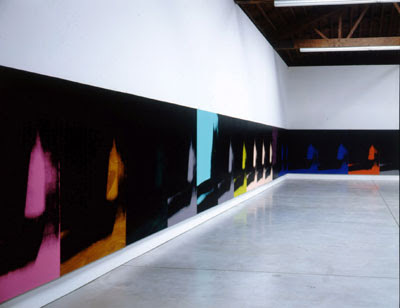 The Warhol room. 72, I think, reproductions in varied tones. Just not interesting in any manner I could conceive. The Nauman neons, eh. Never a Louise Bourgeois fan, still not. 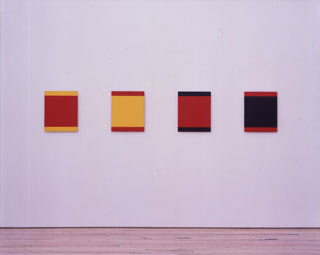 The Smithsons and Judd boxes would also be better served in an other-than-museum environment. That Chamberlain "curtain"....nope (though several others of his are great).